Wahoo! I officially finished my first ever knit-a-long (KAL) and it was a lot of fun. 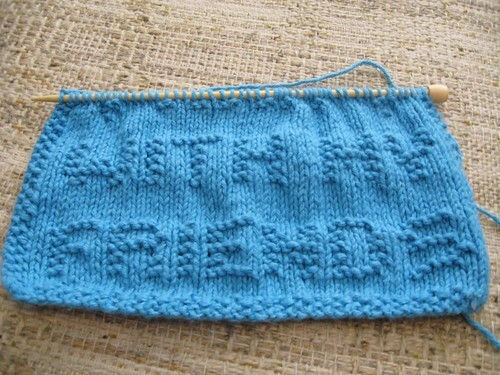 I joined a Yahoo knitting group called Rachel’s Knitting Room. 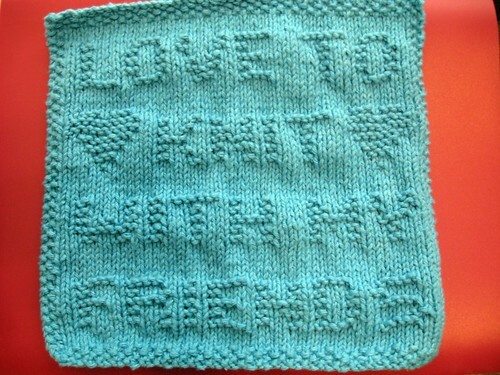 The woman who found the group is Rachel and she designs lots of amazing items that can be found on Knits by Rachel. The KAL this month was to celebrate the Yahoo groups first birthday. 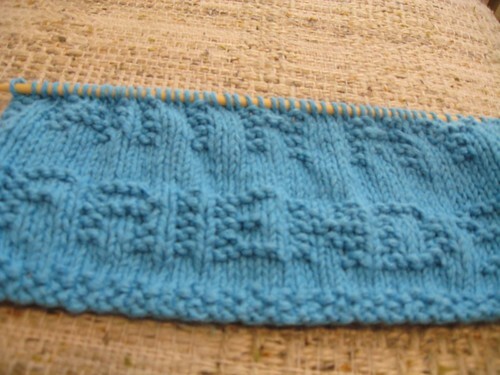 Each day of the KAY Rachel would reveal 10-11 rows of the design for everyone to knit. 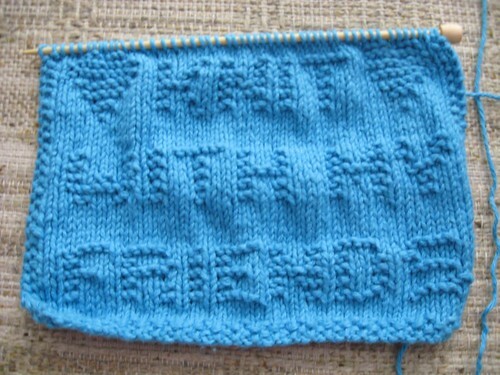 As you knit the mystery of the cloth is revealed. 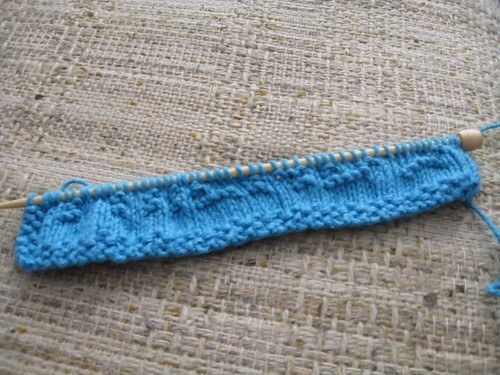 I decided to take photos after each day to let everyone see how the KAL unfolded. Here they are in order. Congratulations to Rachel and Happy Birthday to the Yahoo group! 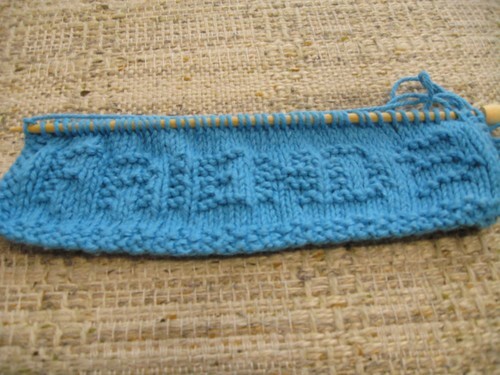 I can not wait to try out my next KAL. You did an awesome job! Isn’t Rachel amazing…she is so talented. I love her designs. 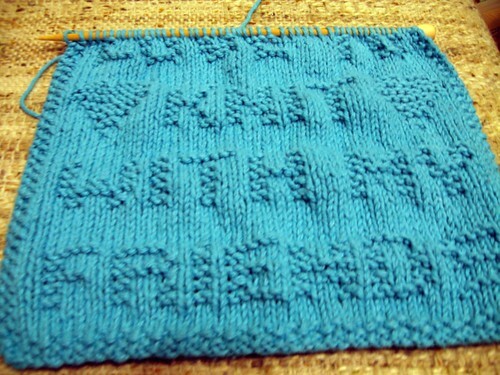 Your knitting is amazing…I am hoping and praying that my carpal tunnel improves enough with hypnosis that I will be able to learn to knit again someday soon.